Célèc™ in French is celebrity. It is a brand name that focuses on products that is formulated from France and now it is in Malaysia. In France, French women makes beauty looks effortless but still we wanna look effortlessly pretty but still feeling like a celebrity. Best thing is that this 2 product that I am going to mention and let you know how it is such an amazing product to try is GMP certified and HALAL certified. This is a magic water! 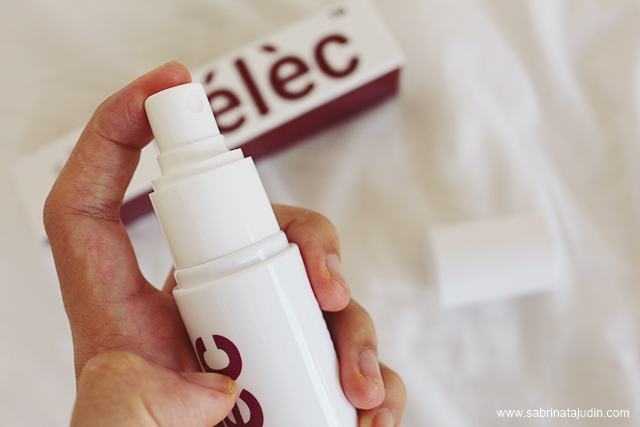 If you have no time for the one by one skincare steps that is time consuming, try this Célèc™ Miracle Sécrèt. It is not just plain water, this makes my skin feels firmed and smooth in just one application. It contains Palmitoyl Tripeptide-5 and Acetyl Hexapeptide-8. The Palmitoyl Tripeptide-5 helps to increase and improve the collagen production of your skin. The Acetyl Hexapeptide-8 helps to erase and reduce fine lines and wrinkles. It said that within 20 minutes but I felt it in around 15minutes. Those days where I ate a lot of chips and high sodium foods, my face looks dull and bloated. This helps to soothe my skin and makes my skin looks firmer and reduces the "kembang" face feeling away. It comes in a spray bottle. You can spray it directly to your face and massage/pat gently with your clean hands or spray it on a cotton pad and use it like a toner. As you can see below is the before & after effect using this Célèc™ Miracle Sécrèt. 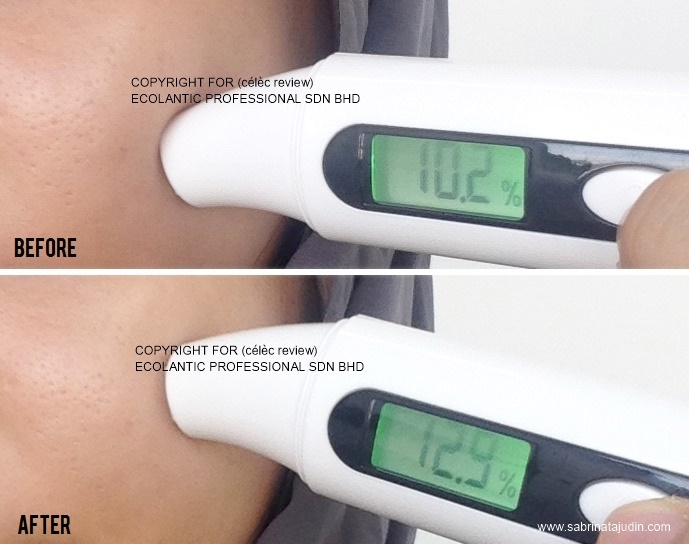 As you can see my before skin without any skincare product is 10.2% and visible pores can be seen. 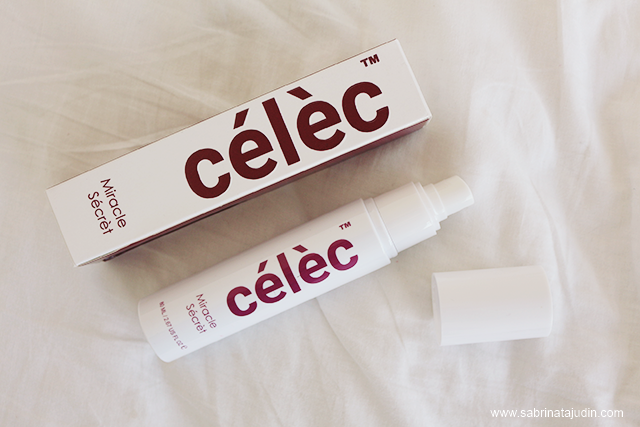 After spraying this Célèc™ Miracle Sécrèt, My hydration goes up to 12.9% and you can really see my pores are reduced. Can be use alone of this can also be paired with others skincare product. Great as a based to help your skincare absorb better to your skin. I also like to make an instant eye mask where I will soak 2 cotton pads with this Célèc™ Miracle Sécrèt and place it under my eyes. It helps to reduce puffiness and make my eyes more refreshed. This price at RM288.00 for 80ml. Suitable for any skin type and made especially for Asian skin. This is another of their best selling product. It acts like water based makeup remover but at the same time gives benefits to your skin. 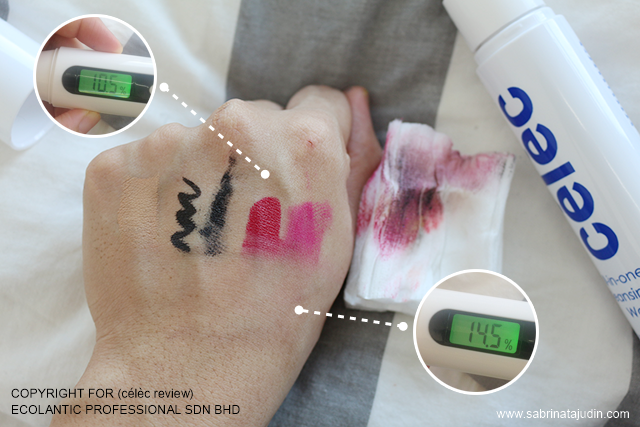 It removes any type of makeup even the ever so hard to remove matte liquid lipstick swatch on your hand. It is a all in one cleanser which can be use to remove your face makeup, eye and lips. It is water based and this will not irritate or sting your eyes when you want to remove any eye makeup. If you have irritation on your skin when removing makeup try this one as this contain no Alcohol, water based and does not clogged pores. 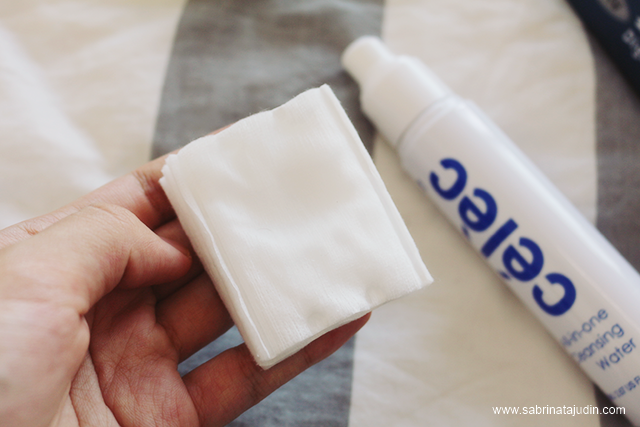 It comes in a pump bottle, so use a cotton pad and remove your makeup. 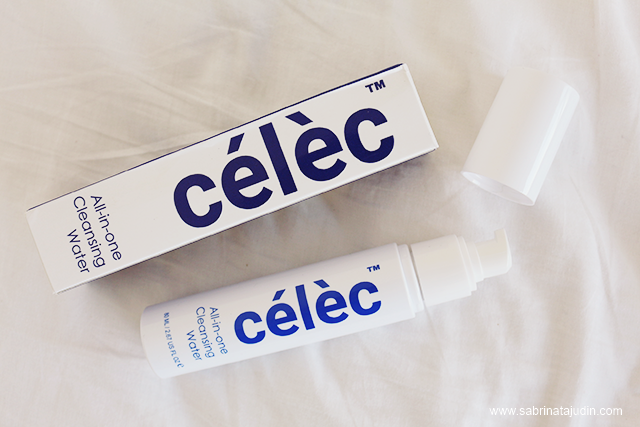 The above picture shows the before and after using the Célèc™ All-In-One Cleansing Water. On the top part, I have my bare skin with some makeup on. Foundation, eyeliner, mascara, & lipsticks. It shows that my current bare skin hydration is 10.5%. 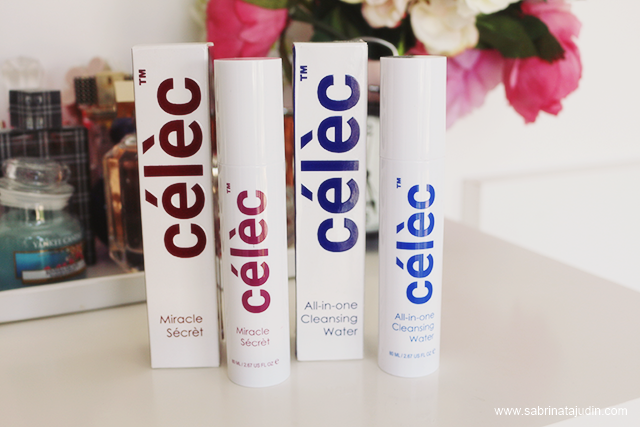 After using the Célèc™ All-In-One Cleansing Water, my skin hydration goes up to 14.5% and all of the make are completely wipe off. When you remove your face makeup such as powder or foundation, it instantly melts off the makeup and replace the surface with nutriments that keeps the skin moisturizes and supple. Skins feels refreshes and clean with no spots of makeup. This is a great thing and where you can just continue with your cleanser and your skin is ready for your next skincare steps. When skin is properly cleansed, skincare can absorb much better. This priced at RM98.00 for 80ml.